Hi! My name is Yvonne Welbon and I’m the founder of Sisters in Cinema! Sisters in Cinema launched in 1997 as an online resource for and about African American women filmmakers. Today we are a Chicago based non-profit and our mission is to to entertain, educate, develop and celebrate African American sister filmmakers and their amazing audiences. When I started film school, I only knew the name of one African American women director — Julie Dash. One of my professors said to me, "maybe you are the 2nd one." Really? Given the film industry began in 1896, I knew black women filmmakers had to have a history beyond the two of us. So I set out to find my Sisters in Cinema. I began my research in libraries and I started a database of the filmmakers I uncovered. I wrote articles about them and volunteered at film festivals to meet them and to have opportunities to program their work. I built the Sisters in Cinema website to crowdsource our history. I continued my studies beyond the MFA and wrote a history of black women filmmakers called Sisters in Cinema as my doctoral dissertation. I directed and produced the documentary film called Sisters in Cinema about the history of African American women feature film directors. And over the 20+ years of this journey, I have amassed what is perhaps one of the largest archives of African American women’s media and ephemeral. The current Sisters in Cinema project is the creation of a Media Arts Center in South Shore, the neighborhood I grew up in on the south side of Chicago. With this project we will support the next generation of African American Woman media makers and scholars, be they 15 or 55. In addition to serving African American women and girls, the Center will also be open to the community and will offer workshops, courses, screenings, scholar resources and opportunities to network with industry professionals. We want as much of this as possible to be free. Sisters in Cinema was awarded $98,500 through Mayor Rahm Emanuel’s Neighborhood Opportunity Fund for property acquisition, rehab and build-out of the Media Arts Center. It's a matching grant. So, in order receive those funds, we have to match that grant. We have to raise $98,500. The Sisters in Cinema Media Arts Center will join the ranks of a growing number of institutions on the south side of Chicago focused on cultural development and neighborhood transformation through projects that honor and celebrate African American leadership, history and creativity. We value your support in bringing this vision into existence. We look forward to you joining our team! 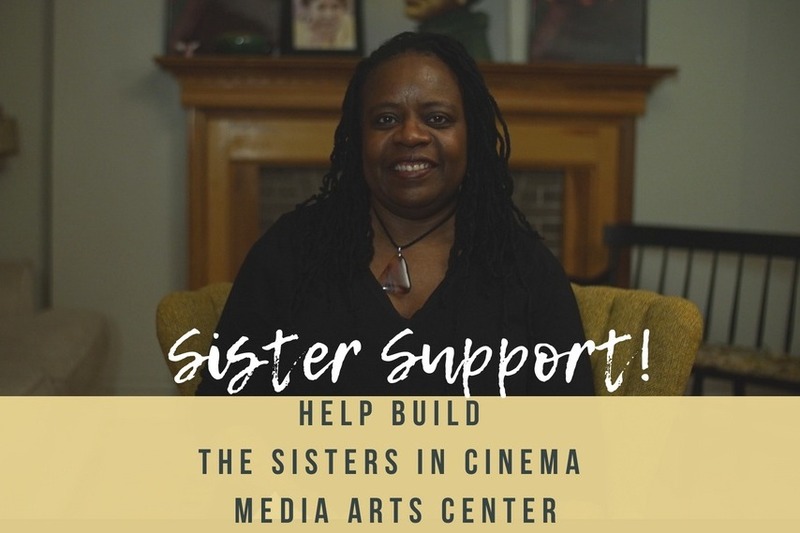 In addition to support from the City of Chicago, Sisters in Cinema is supported by the Community Programs Accelerator at the University of Chicago and the Field Foundation. Has realizado un donativo con una cuenta de PayPal o una tarjeta de crédito/débito a PayPal Giving Fund (una organización benéfica 501(c)(3)). * Si, tras un esfuerzo razonable, PayPal Giving Fund no puede enviar los donativos a esta organización benéfica, los fondos podrían donarse a otra organización de acuerdo con las políticas de PayPal Giving Fund.